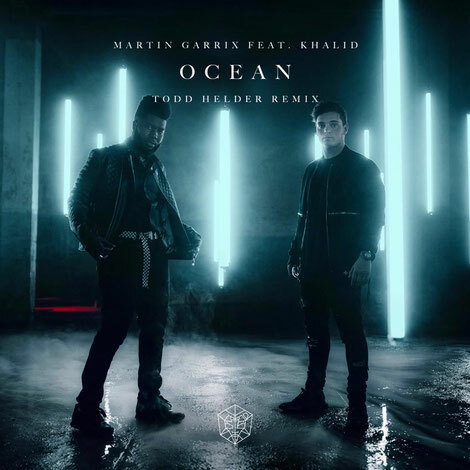 Ahead of his Tomorrowland debut this weekend, Todd Helder returns to Martin Garrix’s STMPD label, delivering his re-work of Garrix and Khalid’s collaboration ‘Ocean’. Todd lays a brooding bassline beneath Khalid’s vocals, which builds and allows the sound to breathe before dropping into stab synths and vocal chopped progressions. Nodding to his passion for gaming, he subtly decorates with chiming synths before reaffirming the dark undertones of the bass. Serving as a taster of his approach to production, which entails a fusion of trap, instrumental hip hop and EDM, Todd recently dropped his Trap Nation production ‘Pixel Love’, blurring the lines between contrasting genres as he attempted to offer a fresh perspective on electronic music. Last Thursday marked the first of many Ushuaïa shows for Todd who is supporting Martin Garrix at the White Isle venue all summer long. Just six months on from his first release, he is now readying himself for a debut Tomorrowland performance.